Apple has finally managed to secure the rights to the all-important AirPower trademark ahead of its supposed arrival later this month, but it wasn’t an easy task at all. Needless to say, the Cupertino tech giant moved swiftly to fight Advanced Access Technologies’ trademark: in January, the iPhone maker complained to the USPTO that Advanced Access Technologies’ trademark would interfere with its own trademarked product names such as AirPlay, AirPort, AirPods and AirPrint. 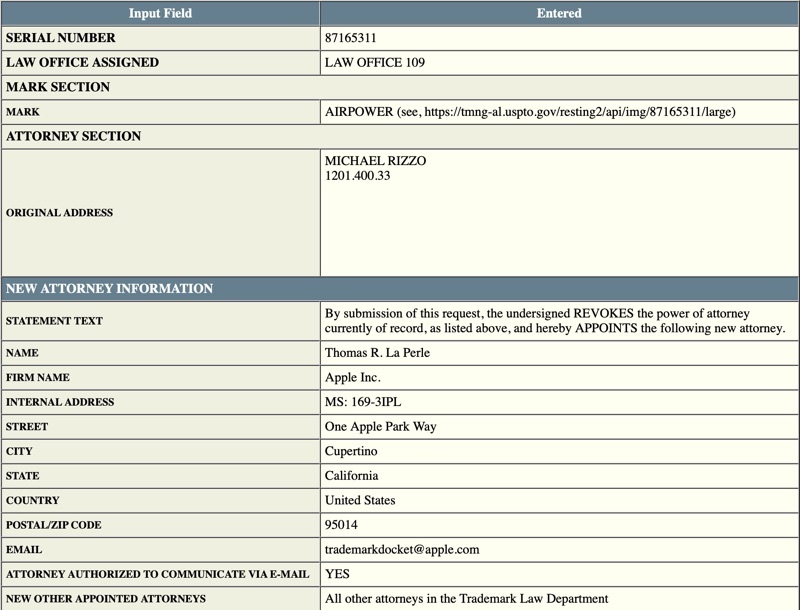 While Advanced Access Technologies is still listed as the owner of the trademark, Clover explains that Apple lawyer Thomas Perle’s name is now on the trademark application. References to AirPower, along with a new marketing image showing the charging mat in action, were spotted in the code of Apple’s Australian website, giving further credence to the rumor that the elusive accessory would be finally coming at some point later this month. For what it’s worth, a March 20 report by The Wall Street Journal alleged that AirPower had entered mass production back in January. AirPower was designed to permit customers to charge up to three devices at once, no matter where they’re rested on the charging mat. 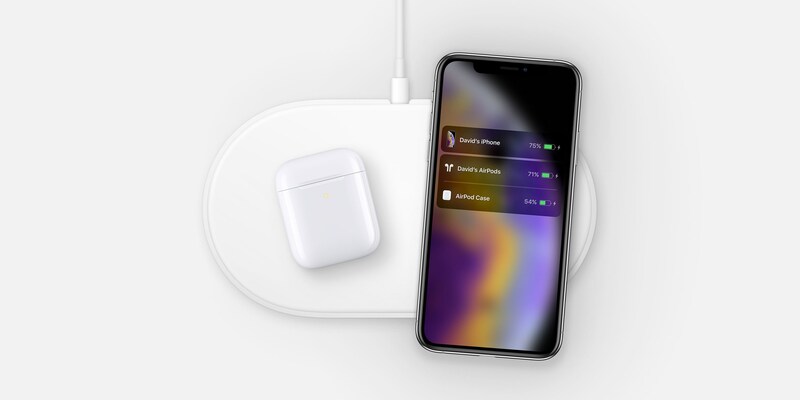 Curiously, Apple yesterday announced with a press release a new Qi wireless charging case alongside the new AirPods. Feels like it probably is soon or not soon at all for AirPower. Seems like it was tied to the new AirPods. Now we have those. So it’s either it’s ready or it’s far off enough that Apple didn’t want to hold back the new AirPods any longer. The new Qi case is conveniently featured on the promotional AirPower image on the Australian website. If you need another proof that AirPower launch might be looming on the horizon, the latest iOS 12.2 beta includes previously missing support for the unreleased accessory. Will Apple ever release AirPower, do you think?